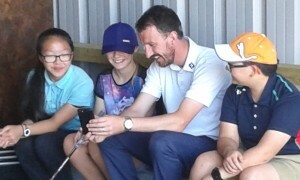 Chris Robinson, PGA Coach assisting with Swing Techinque and Video Analysis with some of our Galloway Girls. 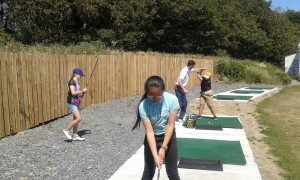 The Coaching Programme takes place in Portparick Golf Club’s new Range facility. Chris Robinson, Head PGA Professional joined Portpatrick Dunskey Golf Club in October 2012. The fully stocked Professional Shop features all the top brands of golf equipment and clothing from Ping, Titleist, Taylormade, Srixon, Cleveland, Footjoy, Glenmuir, Sunderland of Scotland and Powakaddy. 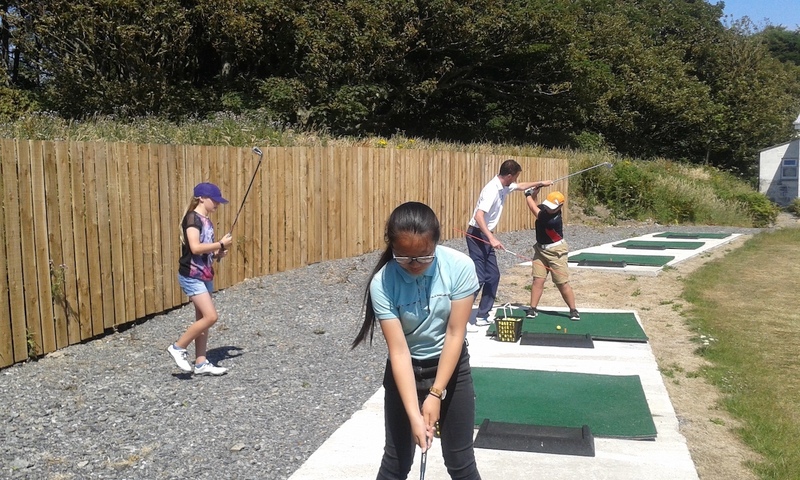 It also has a growing reputation for offering a vast range of ladies clothing from Catmandoo and Nivo and also catering for junior golfers with the no.1 brand in junior golf worldwide – US Kids Golf. The Professional Team provide a full range of services from expert tuition to club repairs including custom fitting of all golf clubs using Trackman. The Professional Shop also offers it’s customers the opportunity to ‘try before you buy’ from many of the leading brands. 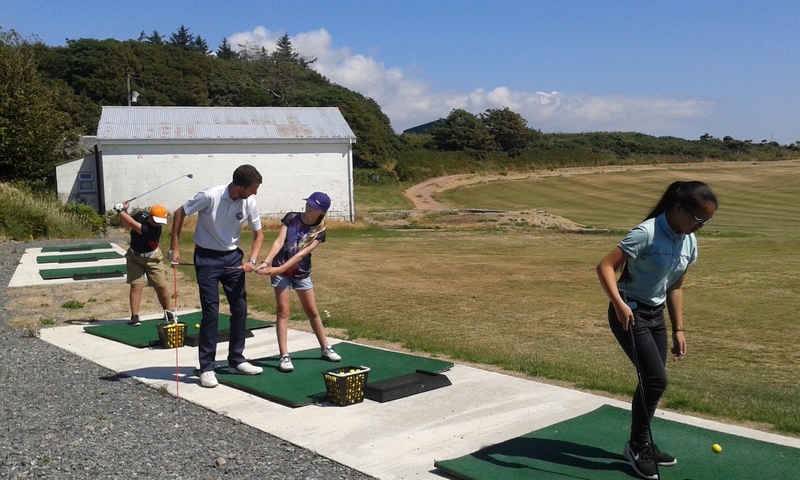 Portpatrick Dunskey has excellent practice facilities for both long & short game and customers are very welcome to use this, to try out the latest equipment. Galloway Ladies History – Blast from the Past! A blast from the past – This was a Galloway / Dumfriesshire match at Kirkcudbright. 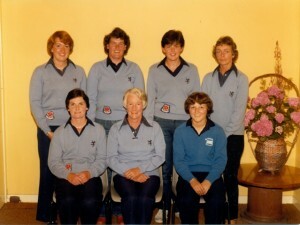 The Galloway County Team at the County Finals held at Douglas Park, L-R back row – Fiona Rennie (now Hunter), Maisie Welsh, sheila McMurtie, Zena Livingstone and front row – Marjorie Clement, Elaine Gray, Morag Wright. Moyra Rennie in 1973 holding the Galloway Ladies Championship Trophy and the Castle Douglas Club Championship Salver. 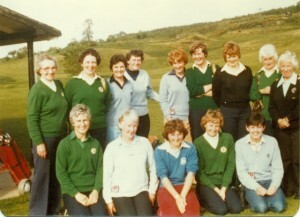 This was the first time the Championship was played and was held over two courses, Stranraer and Southerness. 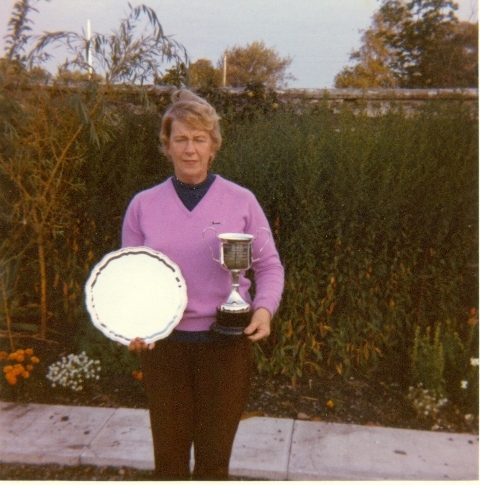 Many thanks Eileen, good to get the website started! Linda.